Take a drive down the winding rural roads north of Clatskanie, Oregon. Meandering through this part of Columbia County, one cannot help but feel a sense of appreciation while observing some of the best farmland in the country. 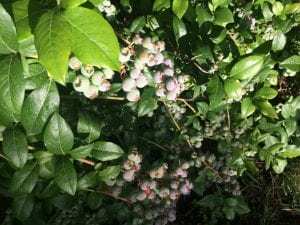 On these agricultural lands in the floodplain of the mighty Columbia River, local farmers grow heirloom peppermint, native spearmint, and plenty of delicious blueberries. These high-quality farmlands are protected under Oregon Statewide Planning Goal 3, Agricultural Lands. But the Port of St. Helens and Columbia County appear to not place high value on this resource. Crag and Columbia Riverkeeper are working with local farmers, businesses and residents to protect Columbia County’s high-quality farmland where farmers grow blueberries, peppermint and spearmint. The Port of St. Helens and Columbia County are seeking to rezone these lands for industrial development. The port and the county are disregarding the benefit of these unique crops that define this historical farm region to override protection for prime farmland and greatly expand the Port Westward Industrial Park. Under Oregon’s land use safeguards, the existing industrial park would not be allowed today. The park is a remnant from World War II era, a grandfathered ammunition shipping dock. In 2014, the port and county attempted to rezone the adjacent farmland for industrial uses—effectively doubling the existing, underutilized industrial park. On behalf of local farmers, businesses and residents, Columbia Riverkeeper appealed the decision to the Land Use Board of Appeals (the board) and won. The board criticized the county for biting off more than it could chew with its attempt to allow undefined industrial uses on farmland. The board found that the county failed to demonstrate that all of the potential new industrial uses, including fossil fuel processing and export uses, would be compatible with existing farm operations, as required under state law. Fast forward to 2018, when once again, the county and the port are attempting to develop high-value farmland. Despite the objection of many members of the community, 1000 Friends of Oregon, and Columbia Riverkeeper, the county approved the port’s modified application in February by a 2-1 vote. The commissioner who voted against the rezone stated he did not think it met the land use safeguards or that this decision was the right direction for the economic future of the county. The county’s 2018 decision looks and smells a lot like the county’s previous decision that the board told the county was deficient. Given the risks to farmland and clear violations of our land use protections, Crag Law Center has once again stepped up to represent Columbia Riverkeeper by filing another appeal with the board. 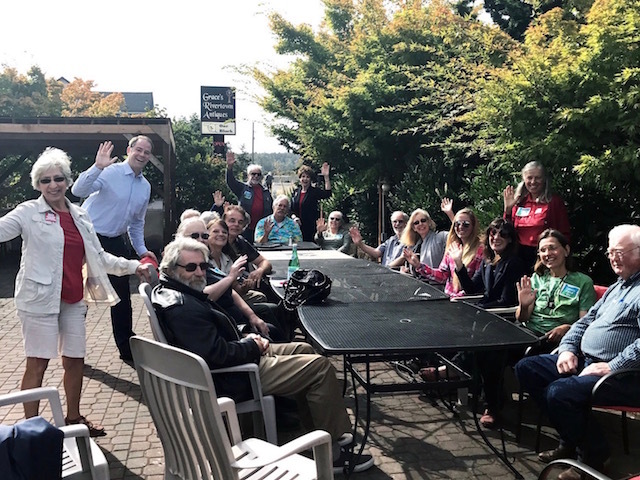 The county’s decision fails to disclose impacts and impermissibly shifts the burden onto the community to show harm when it is the port’s obligation to demonstrate that the rezone is justified under state law. Hopefully this time, the board will finally put an end to the port and county’s ill-conceived attempt to double the size of the industrial park without disclosing and analyzing impacts to the farm community.